The San Francisco Public Utilities Commission provides water to 2.6 million customers. We talked to the director of water resources, Paula Kehoe, about how the agency is enabling onsite water reuse systems, drilling new groundwater wells and achieving some of the state’s lowest per capita water use. San Francisco has an enviable water system. Almost completely gravity-fed, it funnels snowmelt from pristine waters high in the Sierra Nevada mountains. The water is brought to homes and businesses in San Francisco by the San Francisco Public Utilities Commission (SFPUC), which also functions as a water wholesaler for the Bay Area. About 2.6 million customers receive water from the SFPUC’s system, the heart of which is the Hetch Hetchy reservoir in Yosemite National Park. Of that number, one-third are in San Francisco and the rest receive water provided by water agencies in Alameda, San Mateo and Santa Clara counties. It’s a big system to run – the third largest in the state. 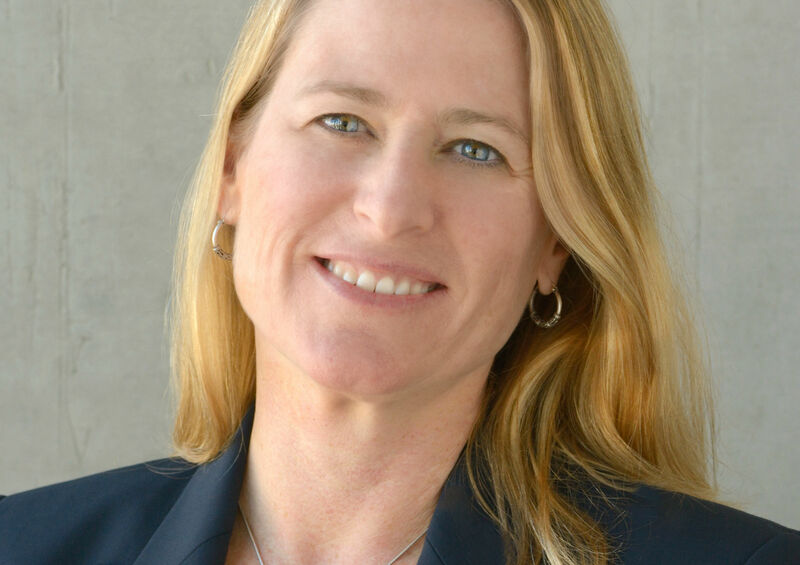 To better understand its challenges and accomplishments (SFPUC has been a leader on conservation and water recycling, among other things), we spoke to Paula Kehoe, the SFPUC’s director of water resources. Water Deeply: How has the SFPUC been weathering the drought so far? Paula Kehoe: Our primary water source, the Hetch Hetchy reservoir has actually performed well in the drought. And that’s thanks to our storage system, which relies on a coordinated operation of all of our reservoirs. We have several reservoirs in our system, as well as a water bank account in the Don Pedro reservoir, which is downstream from Hetch Hetchy. This water bank account allows us to store water in Don Pedro reservoir during wet years for future releases to local irrigation districts during dry years. This banking system allows us to store some of our precious drinking water during dry years. During this drought, we filled or nearly filled our Hetch Hetchy reservoir every year while we were drawing down our water storage bank account. Water Deeply: It must help that San Franciscans are generally pretty low water users, right? Paula Kehoe: We are also under a state mandate. Our reduction that the state assigned to San Francisco was 8 percent. In 2013 that was a challenge for us because San Francisco already uses less water than almost anyone in the state, averaging around 45 gallons per person, per day. And that is due to our conservation program that has been in place for decades. We started off at a low residential per capita rate in response to the drought and we also asked our customers to help us through the drought and voluntarily reduce their consumption by 10 percent; we asked our irrigation customers to reduce their consumption by 25 percent and that was actually a mandate for those customers. We put in place a number of drought restrictions and we had a tremendous response here in San Francisco. We saved 14 billion gallons of water by the end of November 2015; our goal was 10 billion gallons by December 2015, so we achieved that goal even sooner than we expected. And today our residential per capita continues to decline and we’re on about 41 gallons per person per day. That is among the lowest per capita rates in the state of California. Water Deeply: Do you know how customers are saving water? Kehoe: What we plan to do [this month] is conduct a survey of San Francisco customers and consumers to find out what action they took during this drought period to really understand more about those specific actions that people took to get us down to 41 gallons per person per day. And then we want to ask them if they will continue these actions and behavioral practices in the future. So we will have a better understanding of how sustainable our 41 gallons per capita is and if will we see any rebound in that. Historically, in previous droughts, we’ve seen the per capita went down and there was a slight rebound but it never went back to the consumption rates we saw prior to drought periods. We are happy that we live in a community where people are responding and really helping us manage our way through the drought. Water Deeply: What’s your biggest focus right now? Kehoe: We are working hard on many different levels. We have a local water program here that is geared toward continuing our conservation efforts as well as developing new water supplies in San Francisco. That really provides us with additional flexibility to meet our diverse water needs by using the right type of water for the right use here in the city. With our conservation program, it’s been our focus for decades; since the early 1990s we have provided incentives to replace 80,000 toilets and 30,000 clothes washers, and conducted over 100,000 water audits – that really has paid off as our per capita has gone down but population has increased. Really, we have seen an over 20 percent decrease in water consumption in 10 years despite modest population growth. We also have been doing studies to see how many inefficient fixtures are still left in San Francisco in homes and businesses. We completed that study and found that really our conservation programs have been so effective that we believe that 70 percent of all the toilets are water efficient. At least 50-60 percent of all residential clothes washers are efficient. But that doesn’t mean our job is done. Water Deeply: How are you working to expand the water supply? Kehoe: Currently we are installing new wells in San Francisco. We will have six groundwater wells in the city and we will pump that and blend it with our surface supply, which will be available day in and day out. We will be able to produce approximately 4 million gallons a day and that will increase our water supply here in San Francisco. Our other focus is continuing to look at future droughts. We anticipate that we will have more droughts, so we are actively working on a project south of San Francisco by installing 13 groundwater wells to produce an additional 7 million gallons of water for drought purposes only. Water Deeply: You’ve also done a lot with water recycling, how is that going? Kehoe: We know the best investment for recycled water here for us in San Francisco is to address large-scale irrigation such as parks and golf courses. Harding Park and Fleming Park golf courses currently use recycled water for their irrigation and later this year we plan to start construction on a recycled water plant on the west side of San Francisco to irrigate Golden Gate Park, Lincoln Park golf course and portions of the Presidio. That’s another big focus to get that plant up and going. We are also using non-potable water to clean our streets in San Francisco. When it came to building our new headquarters we incorporated our own onsite water treatment system and rainwater harvesting system as well as the living machine that enables us to save 65 percent of potable water that we’d otherwise be using to flush our toilets and urinals. We came across a number of other developers who wanted onsite water treatment in their buildings and districts in San Francisco so we created a non-potable water program to allow that. The creation of that program really allowed us to align our governmental policies to create a process for private owners to install these systems. And today we have over 40 buildings that are proposing to collect and treat their own water on site and to use that for non-potable applications such as for toilet flushing and irrigation. We’ve been learning and working with others throughout the country to show that you can successfully integrate decentralized onsite water treatment systems into your broader, centralized infrastructure to reduce the use of potable water. Water Deeply: Are there any policy changes that you think would help? Kehoe: Most water issues are local. We all have different water systems. We all have different sources of water, different demands, different growth rates. Most folks are also working on developing their own local water supplies for local control and that’s what San Francisco is doing and many others throughout California. I think what’s helpful to us is grant funding, financial assistance, state revolving fund loans that have low interest rates. Those are helpful tools to provide to the utilities who know their water systems best, know their communities best, to help them implement these kinds of projects. Water Deeply: You recently helped to fund a report, “Managing Drought: Learning from Australia,” about drought lessons in Australia. Why did you get involved in that project? Kehoe: We were excited about that because we wanted to learn what worked and didn’t work in Australia. If there were things we could apply here. I think one of the major conclusions of the study is that conservation and demand management programs are very key to dealing with drought and to be doing those programs all along in advance. That has been San Francisco’s experience. We’ve been doing it for decades. It’s helped us through this drought. Water Deeply: A lot of water agencies are having revenue problems because residents are conserving water so well – has that been an issue for you? Kehoe: Yes, that’s the downside of folks responding to our call. Our call was to our customers and consumers to help us through this drought and they did a great job and helped us. The unfortunate part is that it does impact our revenue and that is a situation that we are dealing with and are addressing. We’ve had to take some actions here. We’ve had 5 percent cuts throughout the agency. We’ve had to limit certain activities and things we are doing. We are looking at different kinds of options, possibly revisiting our rates, although they are approved through 2017. Water Deeply: Anything else you’d like readers to know? Kehoe: I think that we’re all in this together. There is the role of the utility – we are developing recycled water and new groundwater projects. There is a role for consumers and customers to take on changing out their toilets and clothes washers and having efficient fixtures to help us respond to drought. There is a role for business with non-potable water programs. Developers are installing these systems. I think it’s a collective and we’re all working together and toward the same goal. Our work is never done and that’s a good thing. We are in a very uncertain time when it comes to climate and we want to be prepared for the future.